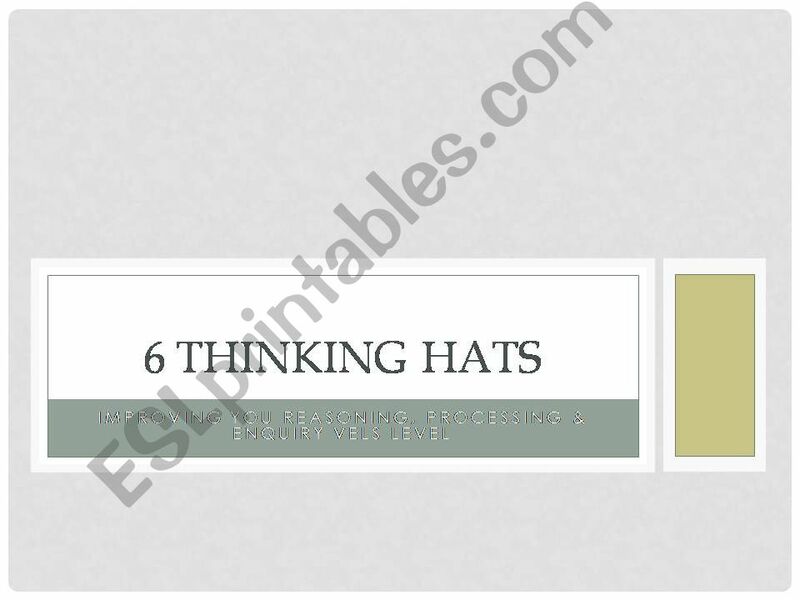 Improve academic performance by teaching critical and creative thinking skills with SIX THINKING HATS. This effective communication tool teaches us to see and focus our thinking using six strategies to improve reading, writing, speaking and listening. It teaches us to (1) think using six strategies, (2) problem solve, (3) make decisions, (4) design quality questions and (5) self assess. The powerpoint will prepare you to join the global Six Hats using the colorful HATS … white, red, yellow, black, blue, green!